OJSC "RPC "Karat", gyrostabilized systems. 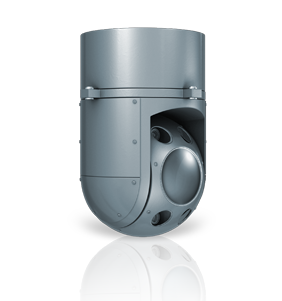 Sphere-02 is an autonomous gyrostabilized optical-electronic observation system. 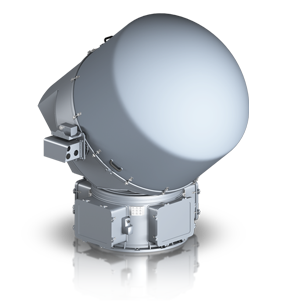 The turret of Sphere-02, is a device for installation on a ship's deck; it is designed for 24-hour and all-weather observation of shore, above-water and air space through television and infrared imaging channels. 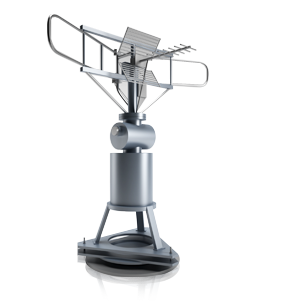 The modernized antenna post is designed for stabilization and 360-degree rotation of radar channel of Bagheera-� (�R-123-02/03-04) system. 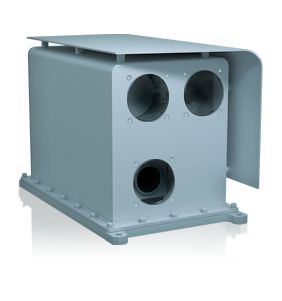 TOI is an optical-electronic observation instrument for ships' radar antennas. The instrument is an additional back-up providing visual observation in the direction on the antennas directional diagram axis. 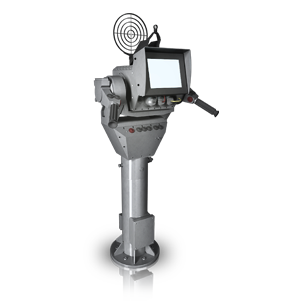 The modernized sight column is a backup ship-borne guidance, target tracking and target designation system. 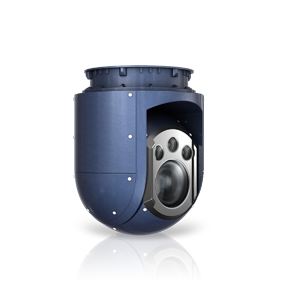 Lanner-A (NV5-0101) is an autonomous gyrostabilized optical-electronic observation device. The device is an air-borne system for subsonic aviation and is designed for 24-hour and all-weather survey of the lower hemisphere (observation of surface and above-water objects) through television and infrared imaging channels. The system Lanner-M is designed for aircraft of the Russian Emergency Ministry. The optical-electronic system Lanner-V is specially designed to be installed on helicopters. Gyroplatform of the system has been improved with optical units for protection against the inherent excessive vibrations of helicopters. 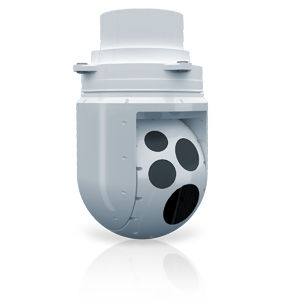 Lanner-V is designed for 24-hour and all-weather surveillance of the lower hemisphere (observation of surface and above-water objects) through television and infrared imaging channels. Two-axle gyro-stabilized suspension system (GSS) for radar antennas of helicopter. GSS stabilizes antenna system and protects it from external impacts (shocks, vibrations, etc.) that, in its turn, significantly increases operational accuracy of radar system. Laggar-D is to be installed on unmanned aircrafts, helicopters, aerostats and airships; it is designed for downward visibility (monitoring on-land and above-water objects) through a television camera. Three-axle gyro-stabilized suspension system (GSS) is intended for use in the stabilized antenna system of radar station of the side looking, installed on the unmanned aerial vehicle (UAV). 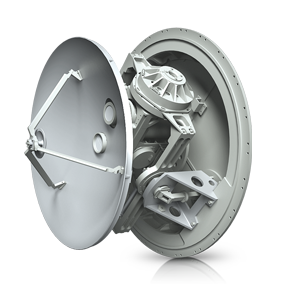 GSS provides control and stabilization of the side looking antenna, and protects it from external influences (blows, vibrations, etc.). 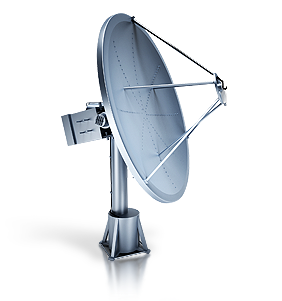 The hardware and software GPAP system with a gyrostabilized antenna is an on-board system for continuous and reliable reception of satellite television signals. 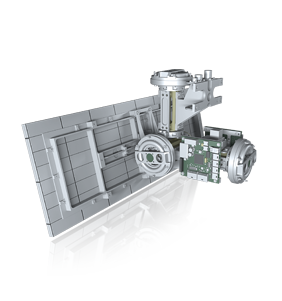 The system has been developed to provide ships with the capacity to reliably and continuously receive satellite television signals, even during the ship's movement. The GPAP guarantees stable reception of television signal all over the world. Karat leads in the designing, modernizing, manufacture, testing and maintenance of a wide range of gyrostabilized devices. The unique experience of our employees and streamlined manufacturing process allow us to create sophisticated high-tech airborne, naval and land-based systems. 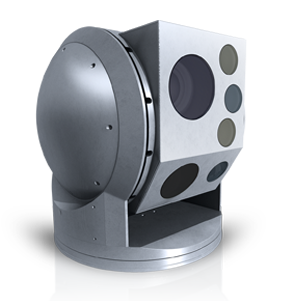 We focus on designing and manufacturing gyrostabilized devices for round-the-clock and all-weather visual observation and tracking. We conduct research into gyrostabilization, optical-electronic systems (television technology, infrared television units, laser range-finders), gyrostabilized radar systems, mobile satellite TV systems, digital information processing, and software systems. "Research and Production Company "Karat"